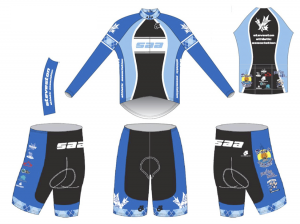 It’s time to order SAA uniforms!Â To facilitate this process, we will be hosting two fitting sessions: 3-6pm on Saturday March 2nd or 8-9pm on Monday March 4th.Â You can come and try on different sizes of gear at Michelle’s place – 11200 Sixth Avenue (corner of Regent & Sixth) in Steveston. Questions? Email michelle@thesaa.ca or joanne@thesaa.ca. If you have any uniform items that you would be willing to lend us for these fitting sessions, please bring them to any workout this week and give them to Joanne or Michelle – Thanks for your help! Previous story Keep it up Tracy!